The holidays can be a stressful time of year! 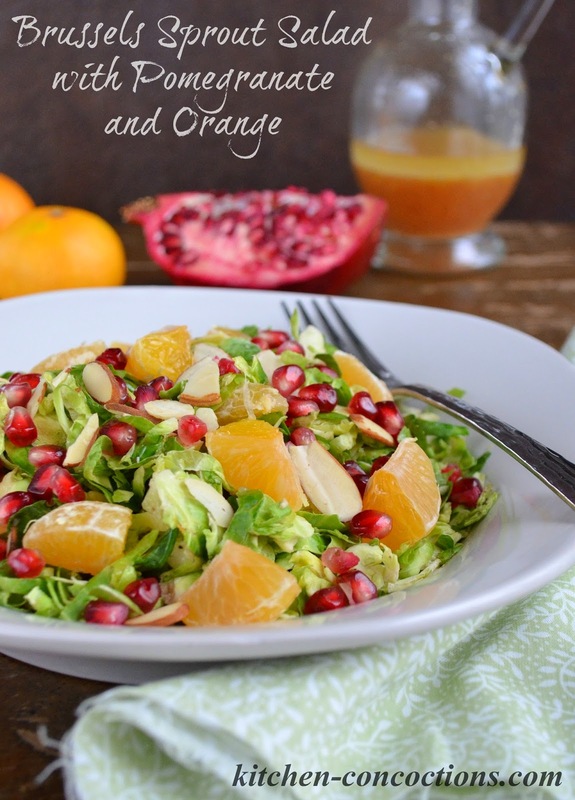 Today I am sharing 10 Stress-Free Holiday Tips plus a healthy, easy side dish, a Brussels Sprout Salad with Pomegranate and Orange, the perfect addition to the holiday dinner table. 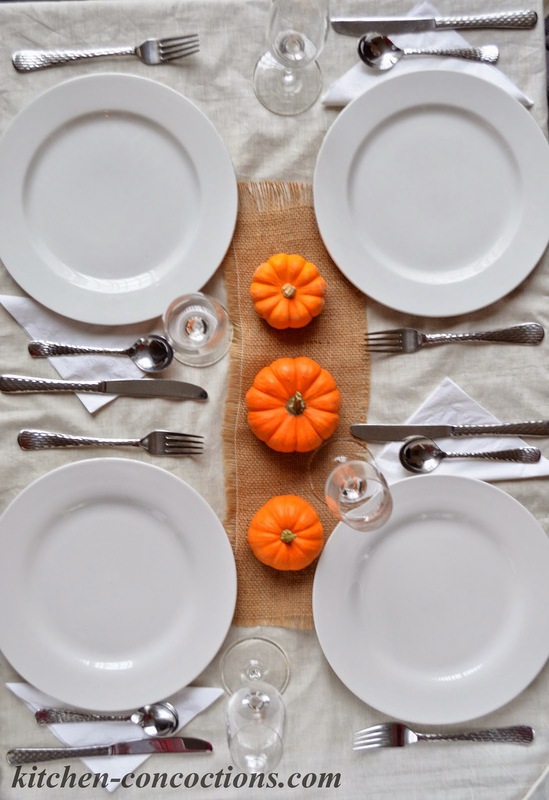 Thanksgiving is less than two weeks away and for many that means two weeks of stress filled days getting ready to cater to out of town guests, plan and host the big Thanksgiving dinner and gear up for the remaining holiday season. However, even though Thanksgiving can be a lot of work, it doesn’t have to be! I have hosted several friendsgivings, traditional Thanksgiving dinners, and many other dinner parties over the years and have a few tips and tricks that will hopefully help you all get through your Thanksgiving as stress free as possible! 1. Make a list and check it twice: Lists may seem tedious to create but will save you so much time, money and energy in the long run. 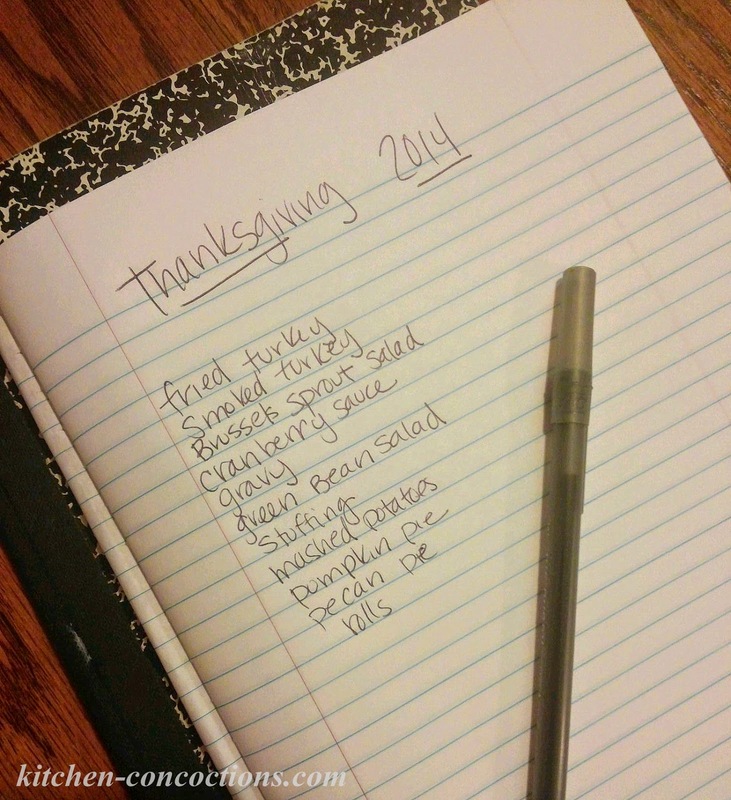 Make a list of guests you plan on inviting, a list of dishes you would like to serve, a grocery shopping list, and a schedule of when items need to be prepped/cooked the days leading up to your dinner party and the day of the big event. Use these lists as guides to help ensure no one is left out, no ingredients are forgotten and to help you manage your time. 2. Delegate: This is definitely something I do not struggle with! 🙂 Asking guests to help contribute by bringing a side dish or dessert will not only help cut down on your stress but will help ease the financial burden that can often come with hosting a big holiday gathering. I have found that most guests don’t mind contributing and often bring a dish even without being asked. To make it easier on everyone, assign guests specific dishes to bring. This prevents duplicates, helps you plan as the host to know what to expect and where to fill in, and also guides guests and eliminates any stress for them. In addition to delegating the menu, give family members chores and specific tasks the days leading up to the event to help get ready. 3. Set out serving platters and gather containers for leftovers: A day or two before your holiday dinner, set out all your serving platters and utensils. 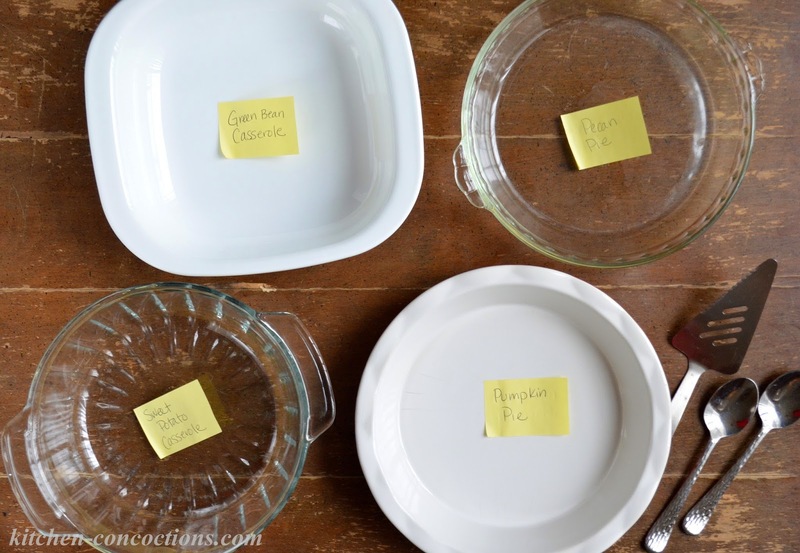 Write down what each serving platter will be used for on a sticky note and place the note on the dish. This helps to see what additional serving dishes you may need to pick up beforehand and will help you stay organized. Also, don’t forget to gather and set aside containers for leftovers. This will help ease in clean up, when you are the most exhausted, and ensure you have enough containers to store everything. Be sure and have plenty of containers on hand (paper plates, plastic food storage bags, etc.) for guests to take home leftovers as well. 4. Shop early and stock up: Even though Thanksgiving is still two weeks away you should start shopping now for supplies and ingredients. This ensures that you get everything you need before your store runs out and gives you plenty of time to start preparing for the big day. 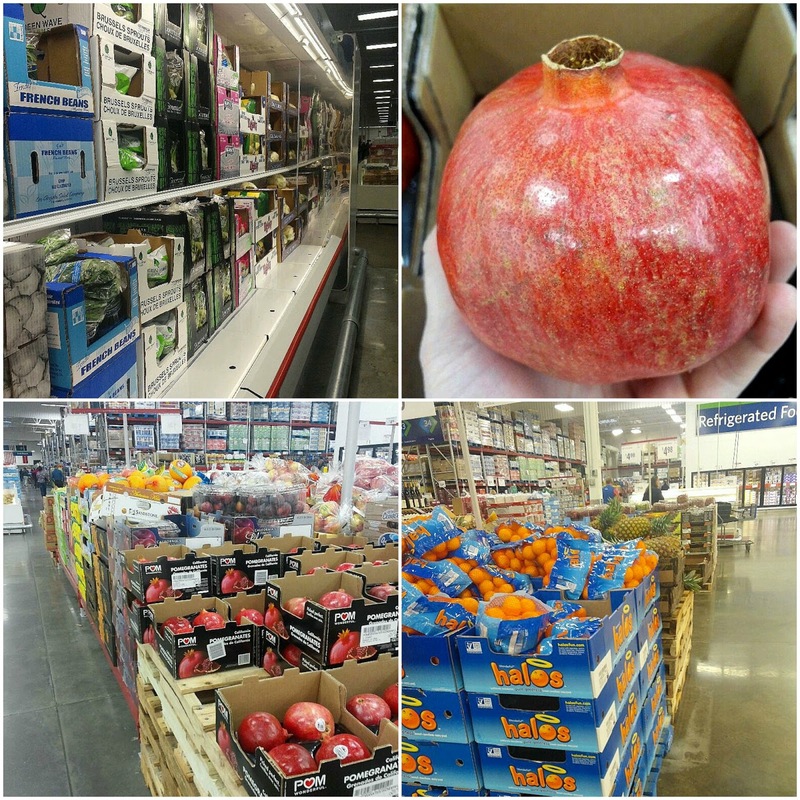 I try to do most of my holiday shopping at stores like Sam’s Club, so that I can buy ingredients and supplies, like paper goods, chicken broth, and even fresh fruits and vegetables in bulk and at great prices; to make sure I have enough on hand, not only on Thanksgiving day, but to last me throughout the whole holiday season! 5. Gather your recipes and test them beforehand: Most professional chefs and caters will tell you to never test a new recipe on dinner guests, and I firmly believe in this as well. But that doesn’t have to keep you from experimenting in the kitchen! With so many wonderful recipes popping up on blogs and in magazines this time of year, you may be tempted to try something new. Trying new recipes is great but these recipes should be tested several days before your dinner party. This ensures you know how to prepare recipe and that it actually tastes good. 😉 Gathering your recipes ahead of time not only helps you plan your shopping trip, it makes preparation the day of go more smoothly. To make things easier, I like to print off the recipes I will be using or save/bookmark them in a special folder on my phone or iPad, so that I can easily access them when needed. 6. Prep in advance: Many dishes or ingredients can be prepared several days in advance. 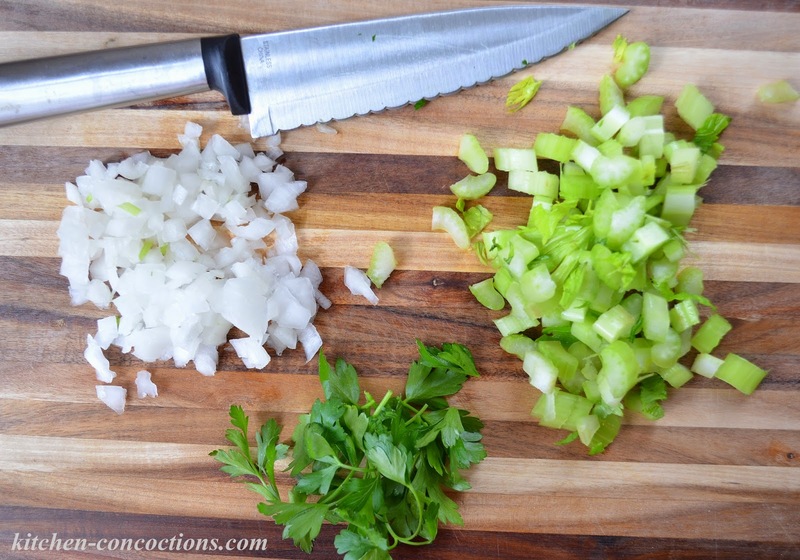 Chop onions, celery, etc. several days before Thanksgiving and store in an airtight container in the fridge. Even whole dishes, like cranberry sauce, pies, and stuffing, can be made a head of time and served cold, room temperature or finished off in the oven the day of the event. No time to prep? Buy pre-chopped or frozen vegetables to save time and ease in preparation. 7. Think outside the box: Hosting a dinner party or serving a large meal usually requires using a lot of dishes, pots and pans, and serving utensils. However, don’t let only having one oven or twelve plates and fifteen dinner guests stress you out. While many believe using your best china is the only way to go for holiday dinners, paper plates can be easier and more cost effective than renting or buying new, if hosting a large crowd. In addition, try cooking dishes in disposable containers, for easy clean up, or using non-traditional pots and pans to cook traditional dishes. For instance, free up a casserole dish by cooking stuffing in a muffin tin (trust me, individual stuffing muffins will be a hit) or serve cranberry sauce in small ramekins and have several scattered about the table. And did you know that everything from green bean casserole to pecan pie can be cooked in a crock-pot?!?! 8. Store beverages in coolers: Keep the refrigerator free of beverages to save room for all that food. Borrow coolers and use your own to store bottles of water, cans of cola, beer and wine. Also, stock at least one cooler with ice just for drinking. 9. Take some personal time and just breathe: While this time of year can get hectic, it is important to take time for yourself and to de-stress. Take a walk outside and enjoy some fresh air. Do some yoga and sit for ten minutes in total silence. Treat yourself to a pedicure. Grab a cup of coffee and sit down with a good book or magazine, like the Healthy Living Made Simple Magazine. While all of these things will help elevate stress and recharge you for your next task, I like taking a few minutes to sip on coffee and enjoy a magazine. 10. Don’t stress about the small stuff and remember the reason for the season: Even with careful planning and all these tips, there will be unexpected guests, forgotten ingredients and broken glasses. But all you can do is improvise, laugh it off, embrace precious time spent with friends and family, and grab a fork and dig in. Just remember when you start to fell stressed, that the reason for the season is love and thankfulness! 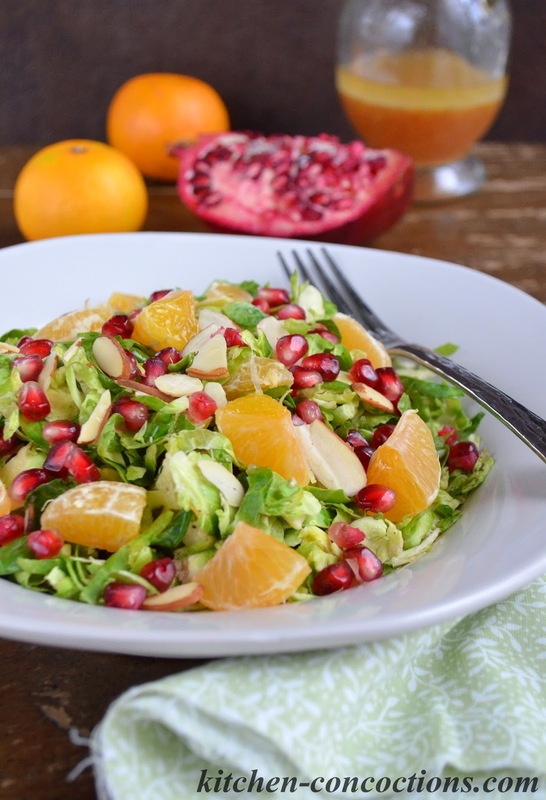 This Brussels sprout salad is great for any holiday get together because it can be made in advance (see tip number six!) and is super simple with just a handful of ingredients. Not only that, it is bright and colorful and adds a healthy, fresh side dish to the holiday dinner table! 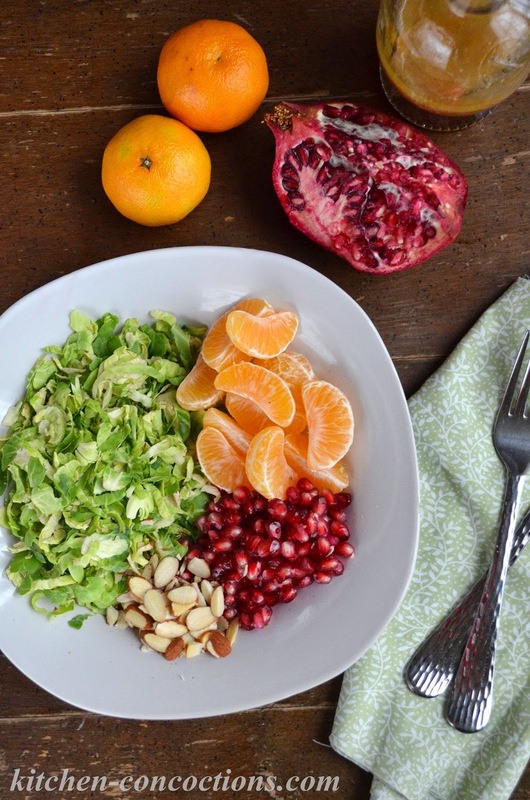 A fresh winter salad with crisp, raw Brussels sprouts, plump, juicy mandarin oranges and tart pomegranates. 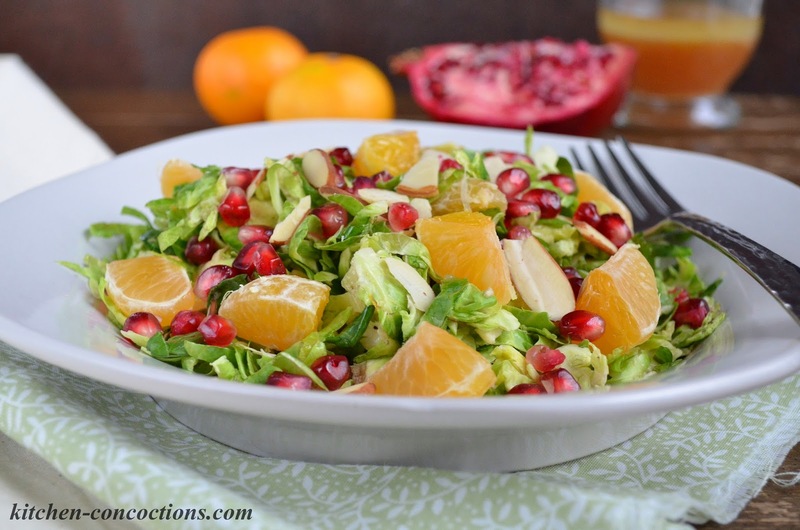 For salad, combine Brussels sprouts, oranges and almonds in a large bowl. Drizzle with desired amount of prepared vinaigrette and toss to coat. Chill until ready to serve (can be made 1-24 hours in advance). Right before serving, add pomegranate seeds and toss to combine. For vinaigrette, whisk together all ingredients in a small bowl until combined. Set aside until ready to use. Not only does the Sam’s Club Healthy Living Made Simple Magazine, available for download on iPhone or iPad, have several tasty and healthy recipes, there are a number of articles, written by professionals, about how to live more healthy and stress free. 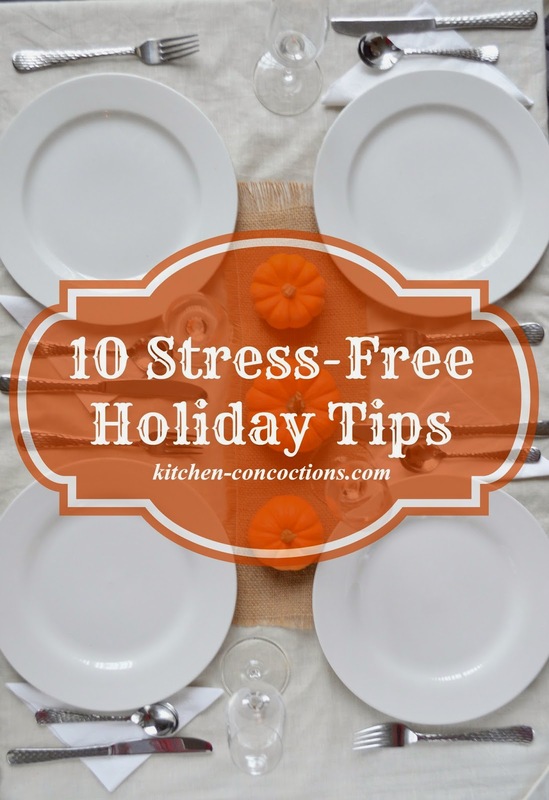 These articles, including this one which inspired these stress free holiday tips, are great reminders and have valuable information not only during this stressful and indulgent time of year, but all year long! I’ve shared my stress-free holiday tips and now I want to hear yours! What are YOUR stress-free holiday entertaining tips?